As a child grows they are drawn to certain objects. It may be bright colors or a unique function or simply something they find fascinating. 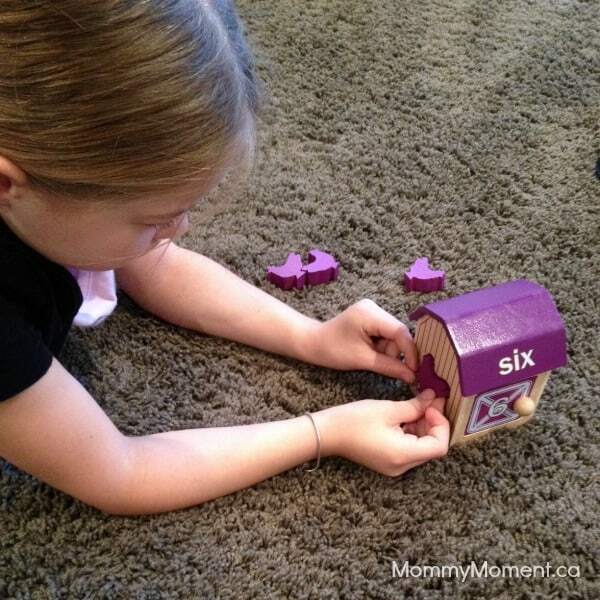 The Guidcraft Barnyard Activity Boxes are perfect for playing and learning! 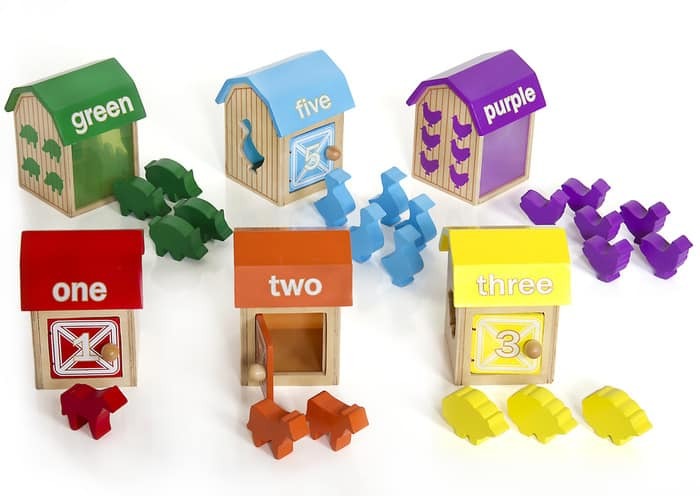 These learning tools are a great way to teach children all about animals, colors, counting and using hand eye coordination for play. The barns are made of hardwood constructions with closing doors. Each barn is assigned an animal with appropriate sized cut out and a transparent window to see the animal. There is a rainbow of colors to pick from to help educate your child on what colors are and because they are labeled they can learn to recognize the words that spell what each color is. They can also match the colors of the animals to the proper barn. Each barn has a unique cut out for the animal that they slide in and out to help develop proper hand eye coordination. 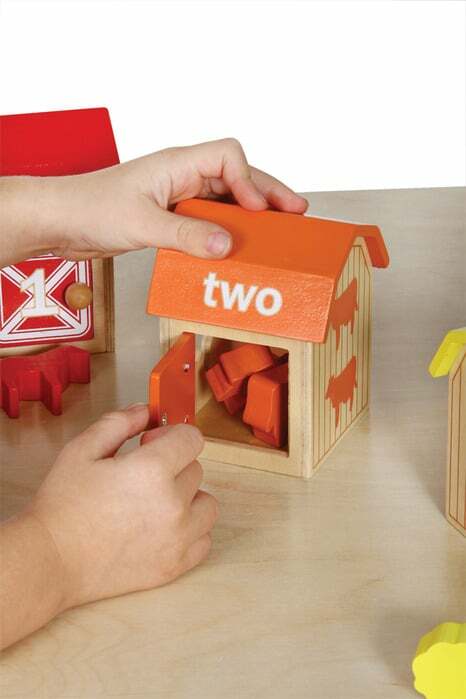 The animals are a chunky size which allows the child to easily grasp onto the shapes and place them where they belong. This is a great way to help teach children about their shapes and how to organize. Its a great way for children to pretend as they can mix and match the animals to “play” together. I love that the little doors have knobs to pull them open. The grasp a child uses to pull the knob helps strengthen the child’s muscles in their hand that also helps the child with the proper pencil grip. The doors close on their own with an elastic hinge. I like that they close slowly, so there is no worry of having little fingers pinched. You can enter to win this set valued at $44.95 on MommyPR. You can read the other Guidecraft Educator Reviews at Huppie Mama, Teach Preschool Simply Stacie, Mamanista, Pre-K Pages and Katie’s Literature Lounge. These are so cute! What a fabulous idea to help kids learn colors, counting, and animals! I think Santa may just have to bring one of these sets for my son this year! Thanks for the post, I have never seen or heard of these before! these are great , lots of learning in one activity ! Im sure my daughter would love something like this ! These are awesome. I know my youngest son would LOVE them! Love Guide Craft, such awesome and unique items! I love the Guidecraft products…never saw this one before but like their other products looks fun and educational too..plus sturdy!